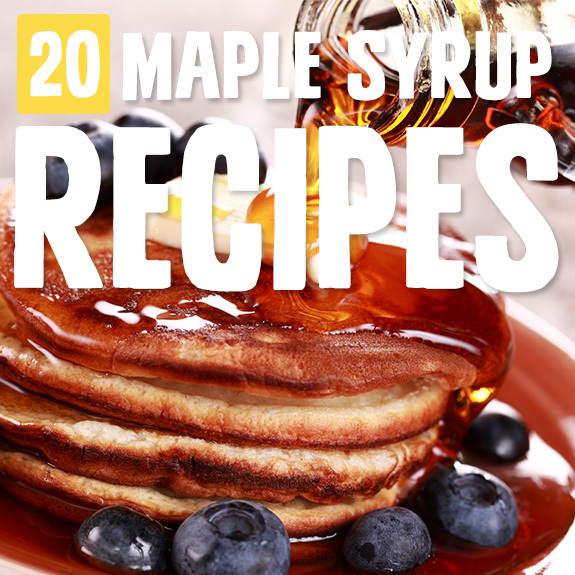 Maple syrup is my all-time favorite sweetener, and it happens to be paleo! Maple is a favorite sweetener among paleo eaters because it’s minimally processed and it’s lower on the glycemic index than others, like honey. 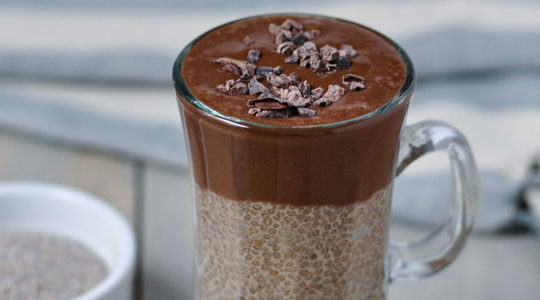 Maple flavor goes well with both sweet and savory dishes, as you’ll see from this variety of maple-sweetened paleo recipes. Some are desserts, some are dinners, but all are fabulously delicious and will make you want to run out for more maple syrup. Macaroons are usually pretty easy cookies to make paleo, because they don’t traditional use very much grain flour, if any. 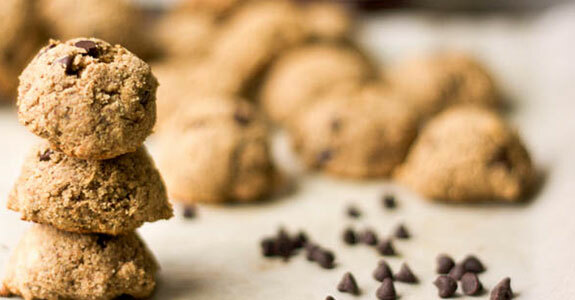 These cookies happen to be raw as well as paleo, and they only have three ingredients! All you need is coconut shred, coconut oil, and maple syrup. 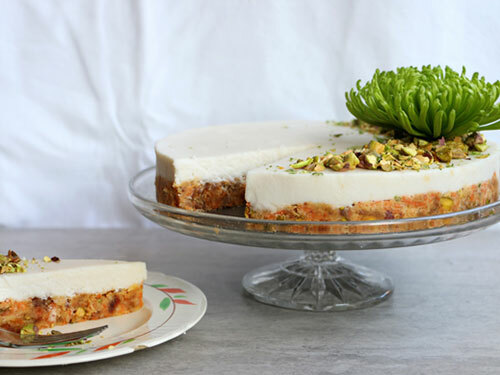 This raw carrot cake has so many of the same flavors as the “real” thing, like shredded carrots, dates, coconut flakes, walnuts, cinnamon, and ginger. 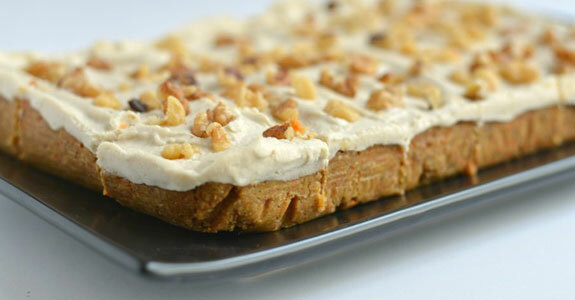 It’s frosted with an amazing cashew maple frosting flavored with almonds extract and topped with walnut pieces. Whether you not you choose to make the dip to go along with these crackers, you have to make the crackers. Maple! Bacon! Together! They’re simple to make with coconut oil, almond milk, cayenne pepper, and a combination of tapioca and coconut flours. 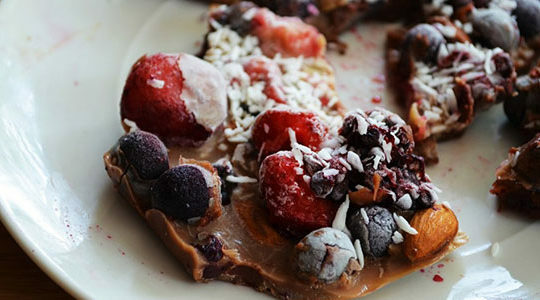 Everyone misses donuts when they go paleo. If they say they don’t, they’re lying. Luckily, these baked lemon poppy seed donuts really hit the spot with almond extract, maple syrup, fresh lemon juice, and coconut milk forming a sweet and silky glaze. Roasting Brussels sprouts with maple syrup is one of my favorite ways to eat them, especially when you use savory seasonings like rosemary and garlic, as in this recipe. Walnut halves and raisins or dried cranberries really round out the flavors and textures. Sweetened with maple syrup and made rich and fudgy with almond butter, these almond flour cookies are the ticket to satisfying your cookie craving. Stud them with chocolate chips, flavor them with vanilla, and use a chia egg so they’re completely vegan, too! 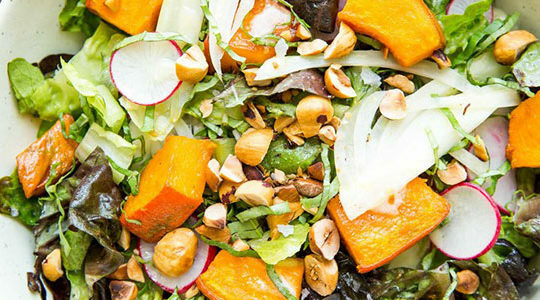 Maple syrup is becoming a popular ingredient in homemade vinaigrette dressings, and I’m glad for that, because it’s so good. This salad has a base of mixed greens or just spinach, apples, red onions, pecans, and dried cranberries with a maple Dijon dressing. Homemade cereal is a great way to compromise between the convenient breakfast you might be used to and the processed boxes you don’t eat anymore. This cereal is made with tigernut flour, psyllium husks, maple syrup, coconut oil, and vanilla almond milk. This frosting doesn’t have a hint of dairy in it, but it’s as creamy and delicious as your favorite cream cheese frosting. This version is made from creamed cashews, vanilla extract, maple syrup, cinnamon, sea salt, lemon juice, and coconut oil. Good on just about everything. Coconut flour is a popular choice for paleo pancakes, because it’s high in protein and won’t spike your blood sugar in the morning. 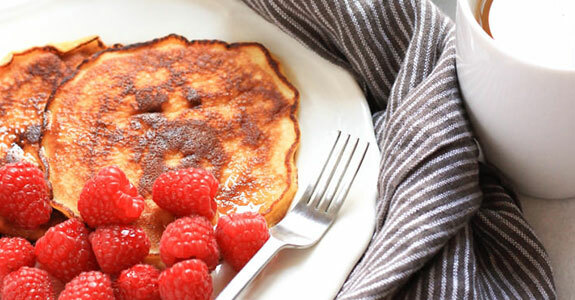 These are made with almond milk, melted butter, eggs, maple syrup, and vanilla extract. Top with fruit and more maple! With extra lean beef mince, red pepper, red onion, garlic, and herbs, these meatballs come together to bathe in a yummy sauce made from passata, chicken stock, balsamic vinegar, and maple syrup. The unique flavors happening here are completely irresistible. These beautiful little dessert shots are made by layering homemade raspberry orange sauce with chocolate coconut cream, which sort of tastes and feels like chocolate mousse. The sweet and citrusy fruit sauce is sweetened with maple syrup. Replace the cornstarch with arrowroot. We like to eat waffles on weekends, and we always try to use healthier versions like this one, made with almond flour and arrowroot powder. They’re slightly sweetened with maple syrup, flavored with vanilla extract, and made fluffy with vanilla almond milk. This is my favorite dessert recipe ever. 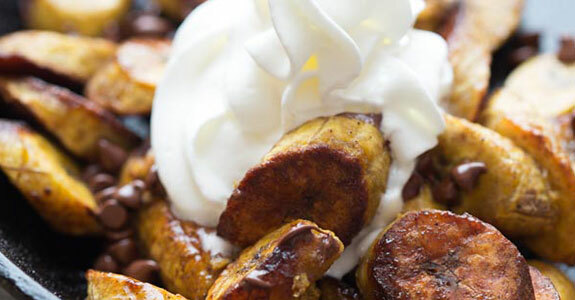 These plantains aren’t overly sweet, but they do have a lovely hint of maple syrup and a sprinkling of dark chocolate chips, along with cinnamon or allspice making them spicy. If you’re feeling extra fancy, top with whipped coconut cream. I feel pretty strongly that cookies should be chewy, and these chewy cookies really hit the spot. They’re made with Enjoy Life chocolate chips, almond butter, maple syrup, egg, vanilla, coconut flour, salt, and baking soda, and they’re just the right amount of sweet. Why buy sausage at the store and deal with the preservatives when it’s so easy to make your own at home, and you know exactly what in it, and it tastes ten times better? This maple breakfast sausage is made with fresh sage, garlic and onion powders, maple syrup, and more. Missing French toast? Aren’t we all! Try this grain free version with homemade grain free bread, coconut milk, vanilla extract, maple syrup, coconut oil, cinnamon, and all the flavors and textures you remember from your childhood weekend mornings. 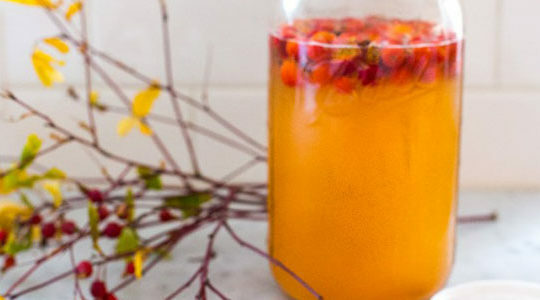 Maple isn’t just for sweet things and baked goods! 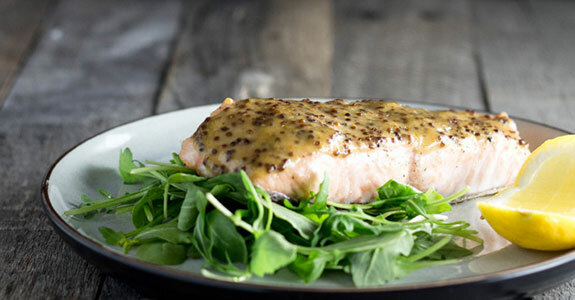 This salmon is covered in a fantastic glaze of whole grain mustard, maple syrup, Dijon mustard, extra virgin olive oil, kosher salt, and fresh cracked black pepper. 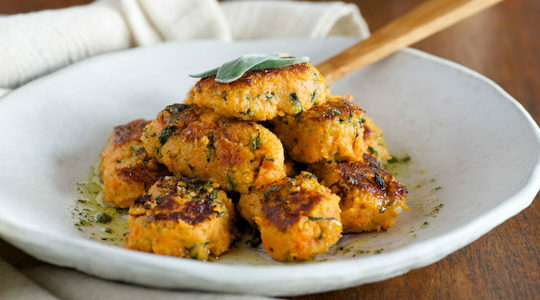 Serve it with veggies for a light meal, or sweet potatoes for something more substantial. These sandwiches remind me a little of the Whoopie Pies I used to have as a kid where I grew up, fairly close to an Amish settlement. They’re made with mixed flours, molasses, and coconut sugar with a decadent maple and vanilla cream filling. These kabobs are made with mixed vegetables like bell peppers, onions, mushrooms, and zucchini, and they’re flavored with a fabulous combination of sauces, including maple syrup. Just replace the soy sauce with coconut aminos and you’re good to go.